Prepare the perfect gift set for your favorite mustache or bearded person! 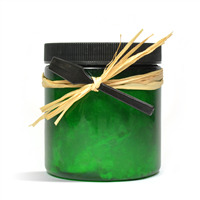 The wax can be used for mustaches or beards to tame and texture hair. This one is made with moisturizing coconut oil and beeswax. The beard oil moisturizes facial hair with apricot kernel oil and jojoba oil. Men will love the cedarwood sage fragrance. You Save $27.74 by purchasing this kit rather than buying the items separately. Beard Oil: Apricot Kernel Oil, Jojoba Seed Oil, Vitamin E, Fragrance. Beard Wax: Medium Chain Triglycerides, Beeswax, Vitamin E, Fragrance. COMMENTS: My customers love these gift sets! I purchased about 6 of these kits and several men's fragrance oils. I now have 3 different scents of these gift sets for my customers to choose from and I included a beard comb that I purchased in bulk online. They seem to sell very easily for me and it was a big hit through the holiday season. They were pretty quick to make, I was able to make all 6 in a day. COMMENTS: I am super satisfied with this kit I love that it came with everything I needed and the reviews were so nice. COMMENTS: Made this for gifts in the family. They like it, lasted longer and worked better. COMMENTS: Love the cedarwood and sage scent. The guys absolutely loved this product. Will buy again. COMMENTS: Love making this kit, great product for selling and gift giving not to mention super easy to make. Definitely a must have! COMMENTS: This was a excellent kit to get started with. All materials were in kit and to continue just need order additional items. "Men loves the beard oil and mustache wax"
COMMENTS: I bought the kit to make for my husband for Father's Day. My four adult boys got a hold of this and loved it. I had a hard time saving a set for my husband. It was very easy to make and smells divine. COMMENTS: I absolutely loved this kit. The muslin bags are a great carrier for the wax and oil. I ink stamped letter on them and the result was fantastic. My customers have really enjoyed using these and it adds a great product to my men's line! "Great Kit and very economical!" 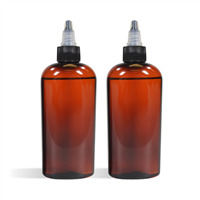 COMMENTS: Argan Oil is the oil of choice my male customers tell me. In fact, I had a customer who purchased this product with the intent of it helping him win a "best beard" contest. I wasn't surprised when he told me he placed second overall! The only down side I found in this kit is that most of my customers only wanted the oil...not the mustache wax. I wound up selling them separately, but I was pleased overall. COMMENTS: This kit is FANTASTIC !!! Super easy to make and finished product is awesome. I will certainly buy another kit closer to Father's Day. COMMENTS: Fantastic kit even has extra product when all said and done . The scent is amazing . I used a mini crockpot to melt the waxes easy peasy THANK YOU ! Will order this again! I used the Mod Podge photo transfer to add the label on the bag . I smile and will have a hard time selling them because of the AWESOMENESS !! • maybe larger kit ?? "This is a great buy and gives awesome results! " COMMENTS: I purchased this about a month and a half ago, and handed it out to some of my friends as my "test subjects" as I don't personally have a beard. The feedback has been amazing. It's super easy to work with, smells great, feels AMAZING (I saved a little on the side to test on my skin). I will be ordering more. The price has gone down since my first order so I'm very pleased about that too. You won't regret this purchase. I highly recommend this for gifts or adding to your product line. • A good value for the price. "Great combination for facial hair"
COMMENTS: The kit is easy to use and the result is very good. The oil is perfect on the beard to moisterize and soften and the wax to keep it in order. The smell is also very pleasant. A great product. "Greetings. What labels can you suggest for me for both the bottles and metal tins. Thanks." Staff Answer If you are looking at the recipe on our site, click on the 2 oz. amber bullet bottle and you will see various labels that will fit this bottle. For the 2 oz. tin, we would recommend a 2" round label: http://www.wholesalesuppliesplus.com/bags-wrap/labels-by-shape/circle.aspx. "What's an easy way to clean up your pot/containers after using beeswax? I had wax everywhere"
Staff Answer We recommend using a metal pan for easier clean up. After your product has been made, place the pan on low heat to melt any wax on the sides and bottom. Remove from heat and carefully wipe out the inside with paper towels. Then wash the pot with Dawn Dishwashing Liquid. 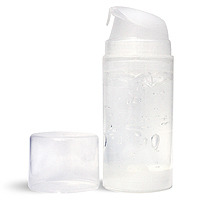 If using glass containers, these can be placed in microwave to melt any excess. Carefully remove and wipe out as above. "Is it safe to put beard oils in plastic containers? It is my understanding that essential oils and sometimes even fragrance oils are not safe in plastic containers. " Staff Answer You are correct that fragrance and essential oils can affect plastic. The fragrance used in these recipes are not a high enough percentage to cause any problems with the plastic. "Is it possible to make this recipe with out the scent, then add the scent at the time of ordering? " You would be able to add the fragrance to the beard oil at the time of ordering but not with the mustache wax. The wax will solidify in the container once it begins to cool. "Do I measure the liquids by weight or volume? " 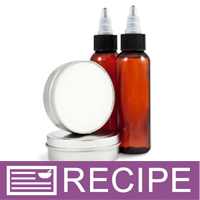 "Can you add shea butter to the mustache wax recipe and make it beard butter/balm instead? Jim"
Staff Answer I see no reason you could not add shea butter to this recipe. We recommend testing all substitutions in a small batch before making a larger batch for retail. You alone are responsible for product and recipe testing to ensure compatibility and safety. If selling, you would need to change the INCI ingredient listing to reflect any substitutions or changes to our original recipe. "Hello, I had a customer email saying the wax is hard to get on his fingers. Is there a special trick to use the mustache wax?" You could try reducing the amount of beeswax by a small percent. It will make it less hard. I run the back of my nail across the top so a bit collects on top of my nail. I then take that small amount and rub it between my fingers to warm it up and loosen it up a bit, then would use it. A little less wax might help too if its too hard, depends on your climate! "Regarding shelf life (which I understand is 9-12 months after making this), does this simply lose scent, or does it get moldy or go "bad"? Can people use it beyond that time frame safely?" Staff Answer Your scent may fade over time. Your biggest concern may be the butter going rancid. Because butters may go rancid after a certain amount of time. "What is the shelf life of this kit once made?" Staff Answer The average shelf life would be 9-12 months for the Mustache Wax & Beard Oil kit. "What would you recommend pricing these at?" Staff Answer Suggested retail price is $12.95 each. Honestly, you could probably get by with charging a bit more since this kit is so much. I pay about $18 for an ounce or so and it's definitely worth it.